MK Smotrich visits family of Ori Ansbacher, says she must be the last terror victim. National Union chairman MK Bezalel Smotrich on Monday paid a condolence visit to the family of 19-year-old Ori Ansbacher, who was brutally murdered by a terrorist from Hevron last week. Following the visit, Smotrich published a post on Facebook in which he called on the government to ensure that Ori is the last murder victim. 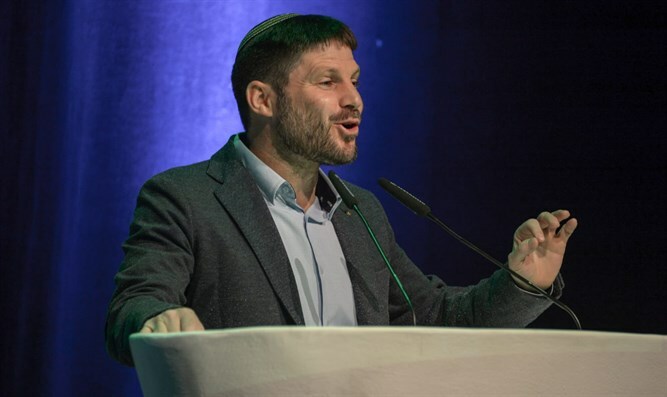 “The message that has to come out of here is that Ori must be the last one and in order for Ori to be the last one, we must deter,” wrote Smotrich. “I call on him not to listen to the threats and intimidation of the security establishment, which unfortunately since the Oslo Accords has been dependent on the Palestinian Authority. This dependence of ours on the PA is dangerous for the State of Israel and its citizens. We do not need the PA and they will not threaten us,” declared Smotrich. “If the PA collapses, let it collapse, we will take responsibility. A Palestinian Authority that incites to terrorism, which pays the salaries of terrorists, and then brings about more and more and more bereaved families and condolence visits, is not viable,” he concluded.